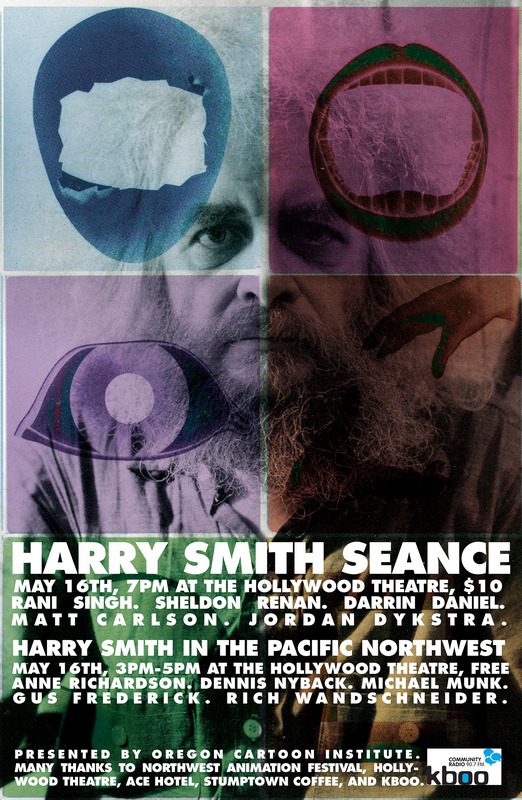 Josh Winsor designed this poster for Harry Smith PDX’s two events at the Hollywood Theatre on May 16. The overlay of shapes come from the collection of slides Harry Smith used during his live projection of Heaven And Earth Magic (1962). When Harry projected Heaven And Earth Magic, he fused two images on the screen – one from the 16mm print going through a projector, and one from a slide projector into which he would insert various masks which acted as frames to shape the moving image. Various descriptions of Harry’s live projection techniques include his stated belief that the best presentation of Heaven And Earth Magic would be with four projectors. Not sure if he meant four 16mm projectors, or one 16 mm projector and three slide projectors! I lived a full life during my visit to the Lego store. There was joy and sorrow, laughter, love, and anticipation—of course—because we were going to that place. We arrived doe-eyed and drooling, or at least they did. I was the reluctant driver. Just a note, I warned ahead of time. I’m not loaning you money—Christmas is coming and my toy budget is allocated. But just to look, they said, curious about the new models and there was the symptomatic searing of their allowance like a hot virus in their pockets. And the pain made it essential to eliminate the ache, the burden, of funds.